Governor Rotimi Amaechi has reacted to yesterday's statement from the presidency where he was advised to stop political rascality and blackmail. 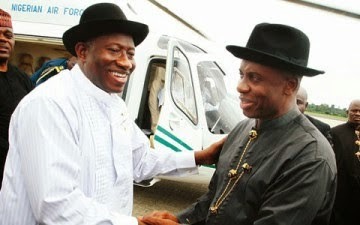 Speaking through the state's Commissioner for Information, Ibim Semenitari, Governor Amaechi said there was never a time he discussed First lady, Dame Patience Jonathan. "I would want to say that the Presidential Spokesman should be careful for the kind of threats he issues to an elected Governor. He should remember that the President is not a prefect of the governor. He was elected as President just as the Governor was elected as a governor, and Nigeria is a federation. And please, Abati should know his limits and need not attempt to cross his boundaries. "It is a bit strange to hear the kind of comments coming out of the Presidency and this shows that the statement was already prepared before governor Amaechi spoke. At no point in his speech did Governor Amaechi make any references. His wife was not even discussed because she is not an official of government. I do not understand where or how Mr. Abati got his story, so we just take it that this is one of those clear indications of rascality within the Presidency trying to call a dog a bad name and hang it”.